Pearl Izumi is once again demonstrating it’s increased commitment to trail riders with a significantly expanded collection of mountain biking specific apparel for Spring/Summer 2016. 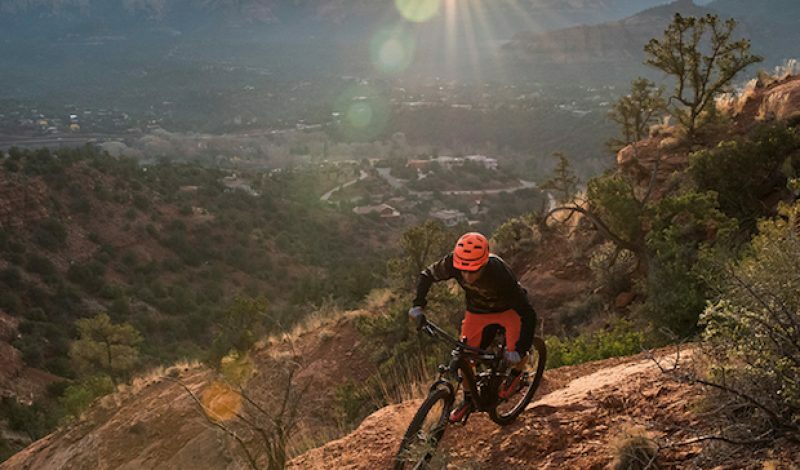 Created with a refreshing blend of both function and style, Pearl Izumi’s new mountain biking line is designed to not only help you stay cool on the trail, but look cool in when you shimmy up to the bar at the end of a hard day of riding. And because of the expanded offering, there are now more choices than ever for those finicky riders. But if you’re still having trouble choosing, here are a few good places to start. The Divide Short ($85) is made from a four-way stretch fabric with a tapered fit that provides freedom of movement in the saddle without worrying about the shorts getting caught up when you take a tight turn. A pair of zippered pockets on the legs give you quick access to your phone or power gels, while a padded zippered pocket in the small of your back is a great place to stash a credit card or spare key. The versatile Journey Short ($75) proves that functional mountain biking shorts don’t always have to scream ‘functional mountain bike shorts’. Featuring deep front pockets and made from a lightweight, quick-dry fabric, these shorts are equally at home riding on the trail or taking a casual stroll downtown. The Summit Jersey ($75) is a study in simplicity and proves that a great riding jersey doesn’t have to be anything fancy, it just has to perform well. The Summit is loose enough that it never feels like it’s clinging to you, but the tapered design makes sure it’s also not flapping in the wind when you’re sailing down those sweet descents. The moisture-wicking fabric is so light and airy that it often feels as if you’re not wearing anything at all. The cruel reality of summer mountain biking in the desert is that the hottest days are the ones when it’s most important to have a good pair of riding gloves. The Divide Gloves ($30) give you the best of both worlds because the synthetic leather palm allows you to maintain a secure grip on the handlebars while the minimalist mesh backing helps keep your hands as cool as possible. The gloves also have the added benefit of being touchscreen compatible and feature a soft wiping surface on the thumb. Pearl Izumi definitely knows how to make great cycling shoes, and the new X-Alp Launch II ($160) is a prime example of how much a great shoe can do to improve your performance on the bike. With a carbon fiber injected composite shank, the Launch has just enough stiffness to deliver power to the pedals without being so rigid that it feels like you’re wearing a pair of traditional Dutch clogs. 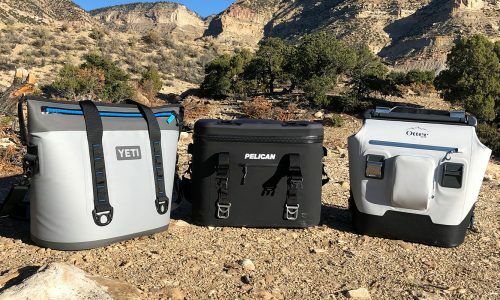 The shoes have a rugged construction that helps provide protection for your feet when they inadvertently tag the side of a stone you’re trying to skirt by, while also managing to remain surprisingly breathable. The BOA system combined with a strap over the toe box allow you to create the right amount of tension to keep the shoe on without having your foot fall asleep halfway through the ride. Having the right clothes might not be essential to riding better, but it certainly doesn’t hurt either. And for those of us who need all the help we can get, it’s nice to know that Pearl Izumi is working hard to make us look good. In more ways than one.